Brows a Go Go £26.50 includes: two shades of Brow Zings powder, 1 Brow Zings wax, smock in’ eye liner, eye bright cream,brow highlighter powder, mini tweezers, Hard angled/Talent brush and step by step lesson. Brow Zings £22.50 includes: One shade of Brow Zings powder, 1 Brow Zings wax, mini tweezers, Hard angled/Talent brush and step by step lesson. My trusty old brow kit “Brows a Go Go” changed my brows/life when Brow Expert Jenna Treat introduced me to how to groom, shape at home back in 2006 and I haven’t looked back. 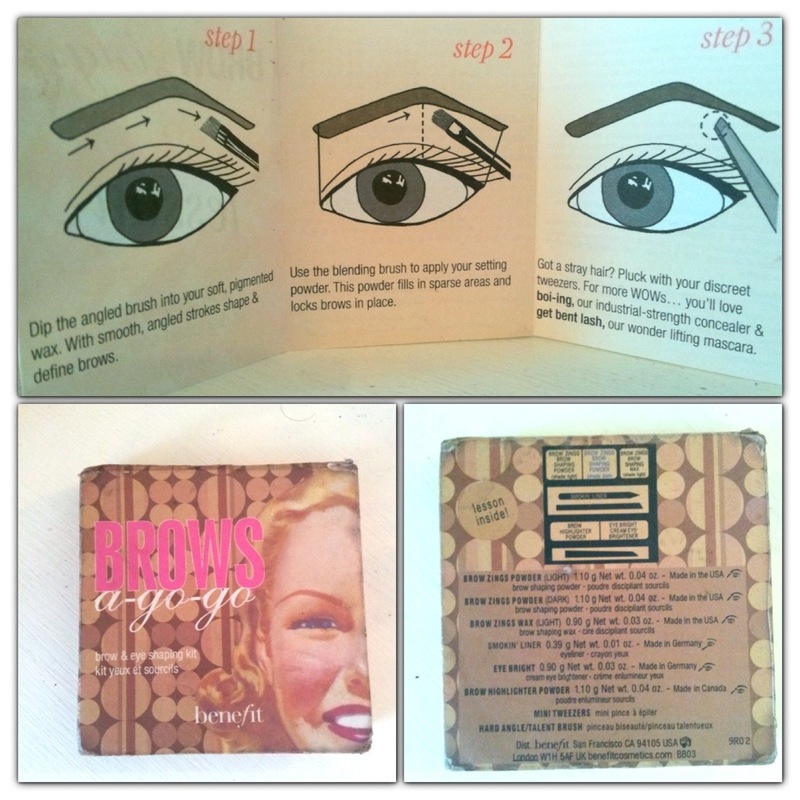 This nifty little kit from Benefit with everything you need has lasted me 7 years! only recently it’s the dark brow shadow that’s run out, the rest is still good to go! Having travelled with me wherever I go and been dropped on the floor umpteen times it’s a little messy and dog eared but still functional. 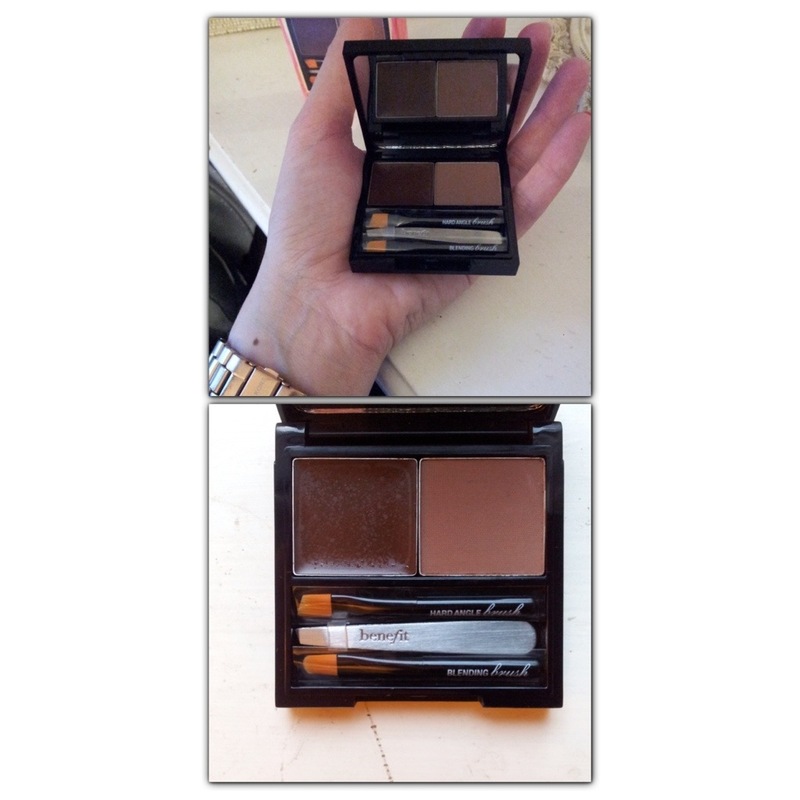 A smaller version with the brow wax and one shade including the same 2 brow brushes, one angled for precision on soft for blending oh and the same cute emergency tweezers. I went for the medium shade powder but wish I’d stuck with the dark shade I’d gotten used too. 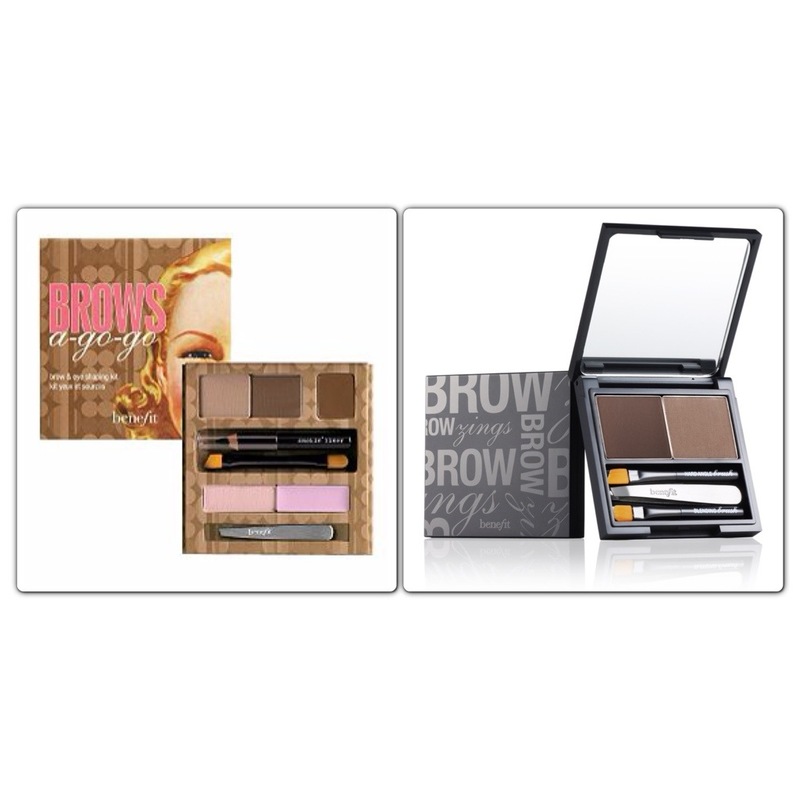 I love the cardboard packaging of Brows a Go Go with it’s statement retro look, however I think I much prefer the sleek hard case of Brow Zings, it’s compact and looks neat in my makeup bag. Go buy either one of these kits, they are a little pricey but well worth every penny!